A living trust attorney can help you keep the probate court system from interfering in the distribution of your valuable assets. A trust is much better than a traditional will because it keeps all major decisions within your family. A trust involves several parties which include the beneficiaries, the trustee, and the grantor. A grantor is also known as the settlor. The grantor, or trust settlor, elect the trustee as the person responsible for handling the trust. There are two types of living trusts: revocable and irrevocable. In a revocable trust, the grantor remains the primary manager of the trust and can modify it during any time or undo it altogether. If you decide to name yourself as the grantor, it gives you the power to make any changes including who you elect to be the trustee. A revocable living trust gives you the authority to change your mind and the contents of the trust. With an irrevocable living trust, the trustee becomes the primary manager. However, the trustee does not have the power to change the beneficiaries. Once the recipients have been chosen, there’s less room to make any amendments to the document. Upon your death, a living trust distributes your assets to the beneficiaries you’ve named. You get to avoid legal fees associated with the legal system’s involvement, and the process is much faster and smoother. Once you’ve created a trust, it takes effect immediately. In the event that you become incapacitated and are unable to make decisions on your own, a trust can protect you. The trustee that you’ve chosen can step in to manage the trust itself. 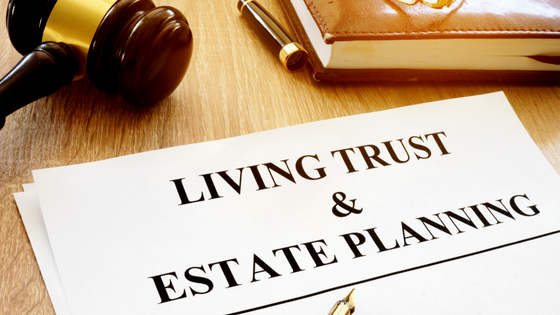 A trust helps you pass on property to your heirs without the imposition of additional estate taxes, and in some cases, you may even be able to avoid taxes altogether. Unlike wills, which are public records, living trusts are private documents and all details and transactions are kept private and out of the public eye. Some individuals choose to create their own trusts without the help of a lawyer. However, in the case of persons who have a lot in personal assets or who have special conditions, getting the advice of a living trust attorney can be helpful. It’s usually a prudent idea to get professional advice to see if you require additional help in drafting your trust, especially if there are life insurance policies involved or children with special needs. Sapient Law Group has helped many individuals and their families in drafting many different forms of living trusts, from simple to complex. We can help you determine the best solution for you and give you the peace of mind in knowing that you and your loved ones stay protected. Contact us for an estate planning consultation today.